The story of Hog Waller begins many years ago. The area surrounding Hog Waller is an old logging community named Rodman that was booming in the early 1900's. Many thousands of acres of forest land were harvested and many farms surrounded the community. The main source of food for these families was the over abundance of wild hogs, not to mention a major nuisance to the loggers who worked the woods. The lore of a monstrous hog who tormented the farmers and loggers in the community grew over time, and many wild tells were spun about how this hog became the hunter and not the hunted. As time moved on, the community did too, and all that is left are a few building foundations, the stories of days gone by, and the mystery of this hog who made his home in those woods. On a cold, quiet night, many people say they have heard a strange sound of a hog off in the distance, and many say, the beast is still alive. Today, Hog Waller is a 1100 acre outdoor family fun park. Hog Waller is owned by a local Putnam County family, and is open year around! Each month you can find many people riding through the woods on ATVs and UTVs or braving the huge mud pit with specially built trucks and cars. 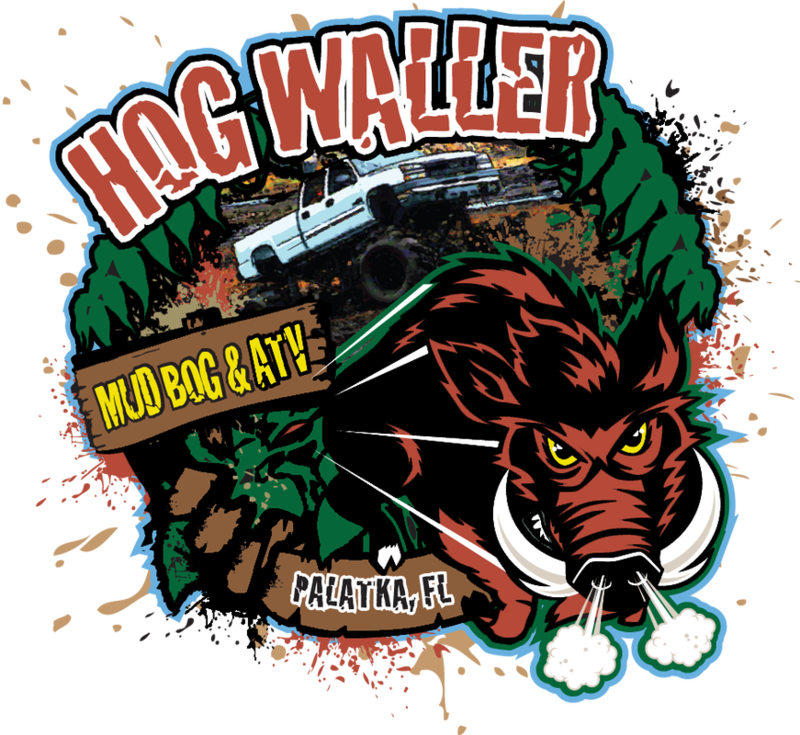 Hog Waller has bathing facilities, restrooms, and vendors who provide food, clothing, snacks, and even supplies for your vehicle or ATV. We invite you out for a weekend of fun, and if you have any questions, please feel free to contact us for more information. Have a great day, and watch out for the Hog! Hog Waller sits on 1100 acres. The property is 2.5 miles long and ranges between 1 mile and half a mile wide. A lot of the main roads in the park are over 100 years old and are either old railroad beds from the Ocklawaha Valley Railroad or support roads from timber operations of the old Rodman Sawmill from the early 1900's. The park has been open since July of 2007 and originally consisted of only of 100 acres. In the early 2000's GNCC Motocross Events hosted 2 major races on the property. At last known GPS mapping, there are well over 50 miles of ATV trails, natural and man made. Hog Waller has only one main mud pit. It is over 6 acres in size, is 10 feet below ground level, and has a safety fence along with 2 thick gauge safety cables around the whole pit area. 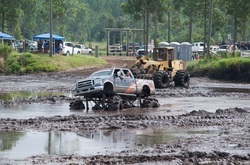 Hog Waller maintains Putnam County Sheriff Deputies as park security and also has a paramedic and volunteer fire fighters on site for each mud bog event. Hog Waller maintains working relationships with Putnam County and St. Johns River Water Management District. Hog Waller is still apart of an active Timber and Cattle Plantation and from time to time is used in support of that operation.